For the woman who’s ready to step into massive alignment for more flow, joy and freedom in her life. Last year I did 5 successful launches in my business, and whilst it felt in flow at the time, looking back, I wasn’t fully in alignment with my soul, which craved more free time, more fun and more ways to enjoy being myself, yet attracting amazing clients and mind blowing opportunities. I began to get really intentional with my daily life and as a result my entire life and business has transformed. I’m no longer about launching and strategy, working 12 hour days or feeling mediocre most of the time. I’m solely focused on getting into alignment everyday and from that place of flow, my vision has crystallised, I’m having loads more fun and I’m making empowered choices in my life, that I previously couldn’t even relate to. This all comes from having a deeper connection to myself and source energy, more space to co-create and being able to receive divine downloads as they appear. My business is so much more EXCITING, soulfully fulfilling and life is finally bringing me pure bliss. You want to fall back in love with yourself and know that you can powerfully co-create ANYTHING! My intention with this course is to get you into alignment and begin co-creating an outrageously successful life! This is the transformative deep inner work that I do with my high end clients and we’re going there together for these 4 weeks. We'll cover and combine all of these areas during the weekly trainings. Energy and how it affects your life. Consciousness and how to be more conscious everyday. Emotional frequency and where you are on the scale. 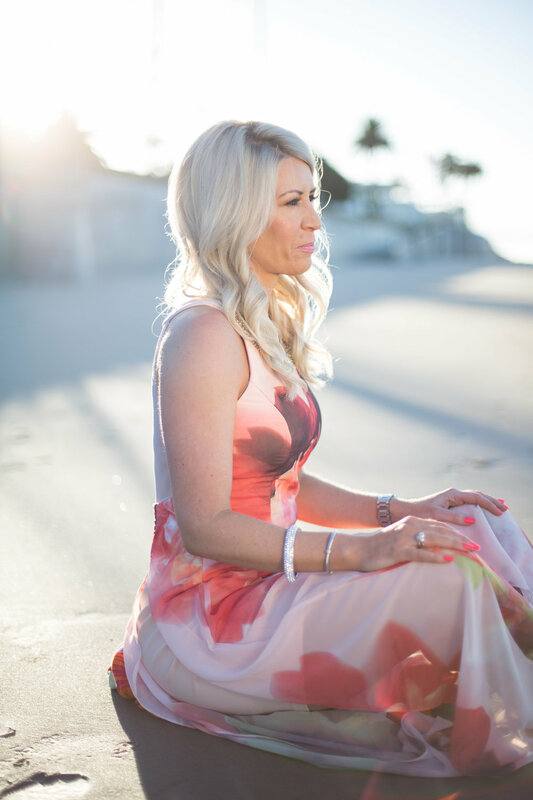 Spirituality and how it can totally transform your life. Manifestation methods that'll literally have you speaking your wildest dreams into reality. This is your invitation to stop making excuses and call in exactly what you know you're meant for. Large amounts of money, a new home, Worldwide travel, luxury goods, speaking on stage, their dream relationship, their ideal body, clear skin, conceiving a baby, launching a business, ending a relationship, leaving their job, being a better parent and so much more. I can't wait so see where INTENTIONAL SUCCESS takes you! I know it feels scary to invest in yourself but think about the bigger vision. What is out there for you that you know, if you had the inner belief in yourself, would help you manifest that very thing? What if you could get up every day and decide how you want to live and why that matters, then watch the most beautiful successes unfold? Imagine this as your reality. If you're still reading this, I'm feeling this course is for you. The Universe will send Earth Angels, signs and things your way but only when you're tuned into the receptive mode, will you actually notice them. Consider this one of those signs! My entire life is now fuelled by deep inner work that has resulted in me designing my everyday life as pure bliss. I want the same for you. Your intentions will become my intentions. Let's do this together, arm in arm, with open hearts and have the most fun ever!